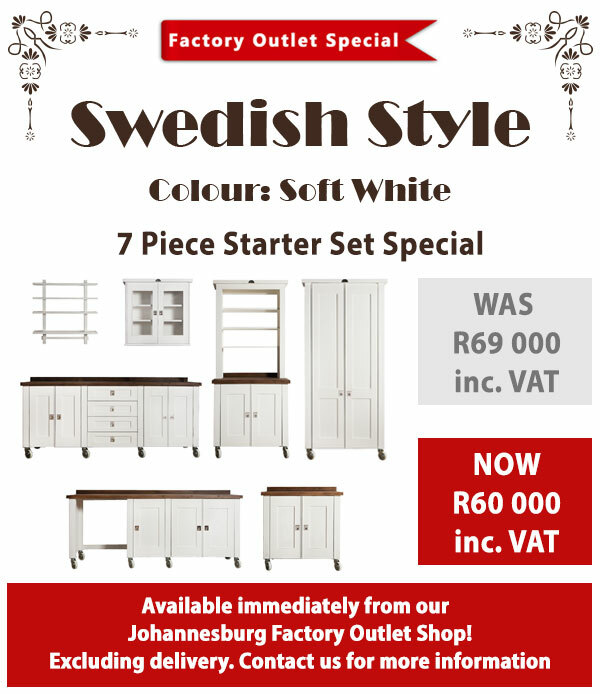 The Seven Piece Starter Set Special costs R60 000* (excl. VAT for our non SA residents) and is subject to our Terms and Conditions. The Seven Piece Starter Set Special (7PSSS) has been very carefully structured to give you the best possible deal as well as still being only just economically feasible to the factory. You are getting a very good deal because you are you saving R17 300* on the original cost of the units if you had to add them up individually. i.e. cost of all the units = R 77 300. You save R17 300*. The Seven Piece Starter Set Special (7PSSS) consists of the following units. These units have been very carefully chosen to fit an average medium to large kitchen. We have selected the units that we feel are the most necessary and useful in a kitchen. 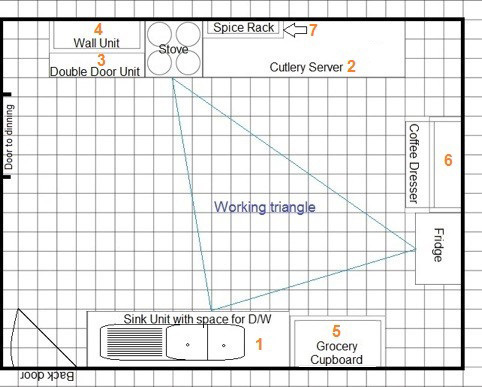 If your kitchen is too small for all these units you may decrease the size of your units at no extra cost. Remember though, if you find you have too many units, they are very versatile and can be used anywhere in the house, and you have the bonus of getting them at an excellent price. For example, the Grocery Cupboard could be used as a linen cupboard or the Double Door Unit could be used as a vanity in the bathroom. The Sink Unit is obviously used for washing your dishes but an added bonus is that this sink unit comes with a space for a dishwasher. You may choose whether the dishwasher space goes on the left hand side or right hand side at no additional cost to you. The Cutlery Server provides you with a lovely large working surface for preparing food. There are drawers for cutlery and other useful kitchen utensils as well as table clothes, napkins, dish towels and place mats. Many of our clients like to have a prep bowl fitted into the Cutlery Server. The Double Door Unit provides you with additional working surface as well as storage space for your pots and pans. The Wall Unit is suitable for storing your plates and serving dishes. The Coffee Dresser is the place to keep your kettle and toaster. The middle part of this unit has no backing so that you may plug your small appliances on the wall here above the work surface. Remember to plan for this if you are renovating or building from scratch. And finally, The Spice Rack, for all your spices. 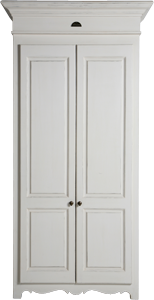 The special price includes Pine tops and painting in one of our standard colours. Changing the colour to a colour of your choice will cost an additional 10%. There is no 5% deduction for taking units without the tops on the 7PSSS like there is with a normal order. Should you wish to change the type of top you would like, we will quote you accordingly for the top of your choice. The 7PSSS is available in all 4 ranges, on legs, castors or plinths and with your choice of handles and colour from our standard ranges. Below are a selection of real Milestone Kitchens of clients who have made use of the 7 Piece Starter Set Special and finished their look off with one or two additional pieces like a Corner Unit, Mini Centre or Stove Hood. Which range(s) are you interested in?